Formed by a group of friends who met in music school, Medicine Man started as a vehicle for philanthropy but soon developed into their foremost creative project. While the six cover a diverse expanse of the music industry as individuals, Medicine Man continues to be the place where these close friends reunite to create music for the pure joy of it. Their most prominent influences include Americana/Folk and Jazz. The lineup first came together in 2016 when songwriter Luke Hoeft, multi-instrumentalist John Burton, and trumpeter Stephen Spink met as music students and began having jam sessions. Singer Heather Hoeft, violinist Helena Bandy, and percussionist Ian Houston rounded out the roster, and Medicine Man spent the next three years performing around central Texas and self producing various singles including "Letting Go" (2017) and "Coming Home" (2017). Medicine Man's debut album "So Much To Say" is set to release in May of 2019. The album release will be followed by a southeast tour in June 2019. Band members Luke Hoeft, John Burton, Heather Boswell, Helena Bandy, Ian Houston, and Stephen (Peter) Spink have a classical background in music and met while studying music together at Baylor University. Between the six, the band's music spans a broad spectrum of colors including vocals, violin, guitar, banjo, dobro, accordion, drums/percussion, EWI, flugelhorn, trumpet, piano, and seaboard. However, all of these idioms are merely instruments of a higher purpose. The band got its name based on their desire to use music to help their community. The effort began in December 2016 when Medicine Man organized a benefit concert for Mission Waco, an organization in Waco that provides resources for the poor. Then in 2017, the band organized another benefit concert to support the efforts of the local church in Houston to provide relief for families affected by hurricane Harvey. Medicine Man has collaborated with many non-profit organizations including Magnolia, World Hunger Relief, the Baylor Kitchen Project, Waco Family Abuse Center, Mission Waco, the Cove, and Shepherds Heart. Luke is the frontman and writer of most of Medicine Man’s music. He started the group in 2016 with John Burton and Stephen Spink. The trio met as music majors at Baylor University- all three specializing in trumpet performance. In the band Luke rarely plays trumpet, focusing more on guitar, piano, banjo, and vocals. Although, he will sometimes grab a trumpet during a show and play a bit just to surprise fans. Luke currently serves as the music director at Twin Lakes Fellowship in Cedar Park, Texas and is married to Heather Hoeft of Medicine Man. 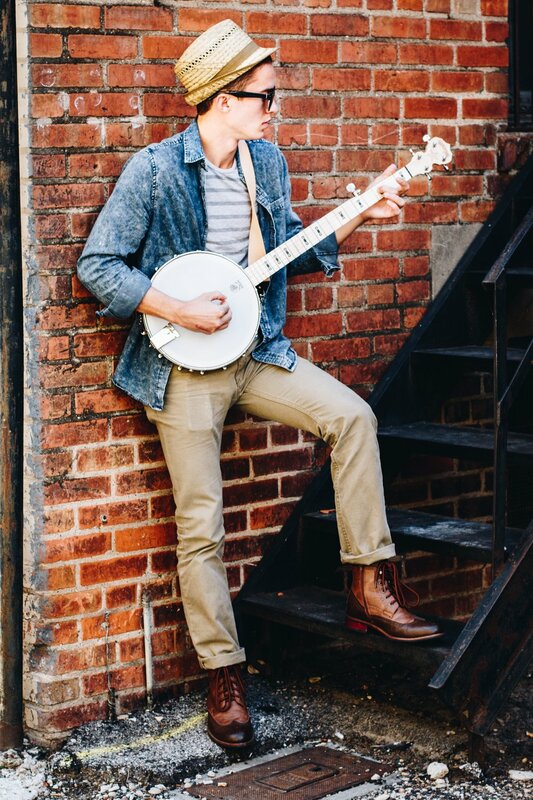 John, originally from Cleveland, Tennessee, is truly the multi-instrumentalist of the group. The band likes to joke that his hashtag is #johnplaysallinstruments. You will see him play accordion, dobro, EWI, seaboard, ukulele, ocarina, and trumpet- sometimes all in one song. 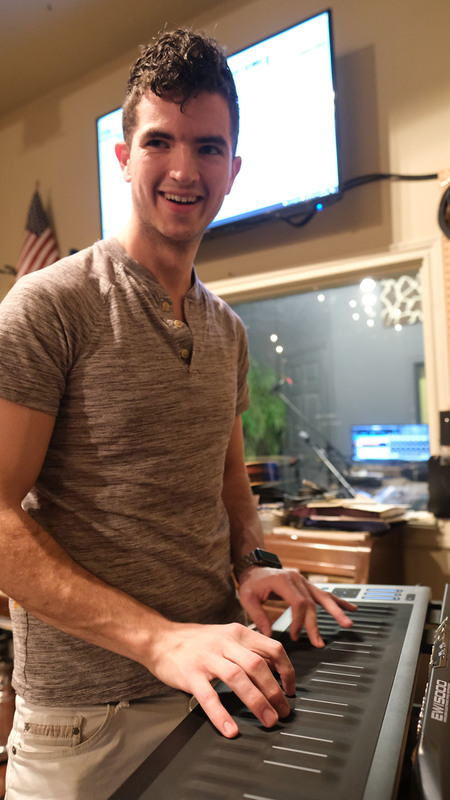 John received a music performance degree from Baylor University in 2017 and will receive his master’s in performance in June 2019 from the University of Denver. John currently teaches and performs as a trumpet player in the Denver area when he is not playing with Medicine Man. Stephen, known as Peter by most fans, is another multi-instrumentalist in the group although he is the trumpet specialist predominantly. Stephen came to Baylor University from the Denver area to study music performance where he initially connected with the original trio. As a trumpet player, he accesses both classical and jazz faculty very well. Although, most would think of his presence in Medicine Man's unique sound as "jazzy" being that most of what he does is improvisatory. Recently, Stephen won a position in the Air Force band and will be likely be assigned to either Band of The West in San Antonio, Texas or the Air Force Academy Band in Colorado Springs, Colorado. Heather is the vocal specialist of the group. She came from Bedford, Texas to study vocal music education at Baylor University. She has performed in many groups with a wide range of styles including mixed choir, chamber ensemble, jazz, a capella, as well as classical solo repertoire. Heather was the first addition to the group after the original trio and now Medicine Man’s sound is greatly defined by her distinct and elegant voice. Besides Medicine Man Heather sings in a vocal band called From The Roots, based out of Dallas/Fort Worth, Texas. She teaches in the Waco area, and is married to Luke Hoeft of Medicine Man. Helena specializes in violin while contributing as a vocalist as well. She came from Huntsville, Alabama to Baylor University to pursue violin performance. When the group decided to look for either a third vocalist or solo violinist, Helena was the perfect fit. As a regular concert master in the Baylor Symphony orchestra and a member of the Waco Symphony, Helena was obviously qualified as a player. And now, three part harmony being a distinct idiom of Medicine Man's sound, the group wouldn't be the same without her voice too. Currently, Helena continues her music education into postgraduate studies while taking professional auditions when she can. Ian is the percussion specialist of the group. He came from Fredericksburg, Texas to Baylor University to study percussion performance. Though his responsibilities in Medicine Man predominantly include drumming, he will at times switch to a keyboard instrument as well. With a multi-instrumentalist like Ian, Medicine Man's versatility exceeds the sum of its parts. Currently, Ian continues his music education into postgraduate studies while taking professional auditions when he can.